Demand of fresh fruits in China is led by steady economic growth as there was substantial increase in overall household income. Imported fruits in China are expected to be in variety, convenient and of high quality. Chinese citizens now demand year-round availability of freshly produced fruits. China’s middle class grew to 109 million adults in 2015, surpassing 92 million, American middle-class population. According to Euromonitor, by 2018 consumers in China will spend on average $4,251 every year, with $113 of that spend on fruit and fruit products, a 69% increase over 2014. This increase in fruit consumption among Chinese citizens indicate heap of opportunities for fresh fruit exporters interested in exporting fresh fruits to China. Among friends and family, fruits are given as good gesture and as gift. In Chinese culture there have been a lot of importance given to eating fruits. Among friends and family, fruits are given as good gesture and as gift. Imported produce and fresh fruits, especially of western brands are considered as status symbol or wealth for many middle-and upper-income Chinese consumers. This perception is not only limited to Tier I cities, but increasingly in Tier II and III cities as well. 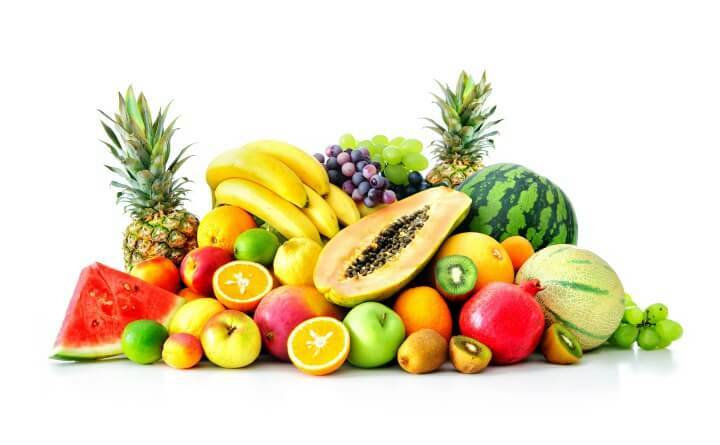 Increasingly consumers have now become more demanding for large variety in fresh fruit imports, especially of the tropical category. Foreign fresh fruit exporters have a clear opportunity to take advantage of China’s domestic growing seasons and counter-seasons demand. During the winter, domestic fruit production is limited, and as a result consumer who normally buy domestic turn to higher-priced fresh fruit imports. Although imported fresh fruit market is quite price sensitive. On the other hand, imported, branded fresh fruits are also considered to be meeting higher food safety standards and therefore earns a premium in the Chinese fruit market. A growing segment of the population has become more concerned with food safety standards of domestically grown fruits as they are widely considered to be of a lower quality and have less safety standards as compared with foreign imported fruit. 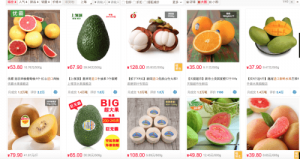 What is the likelihood of selling Imported fruits in China on Chinese E-commerce? China is world’s largest e-commerce market and growing every minute. Online sales surpassed $670 billion in 2015. Fresh fruits were one of the main drivers of this exponential growth. Consumers, especially young professionals, prefer to buy Imported fruits in China online due to convenience of ordering and delivered directly to their doorstep within 24 hours. Online purchase of fresh produce is quickly becoming a preferred purchase channel for Chinese consumers, especially among young professionals in Tier I cities. Sales of online fresh produce were nearly $4 billion in 2014, with industry forecasts predicting a market size of $16 billion and, total fresh produce market segment of 15% by 2018. 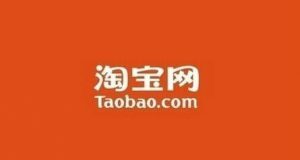 Alibaba Group and JD.com are the two largest e-commerce platforms for imported fruit (and all e-commerce as a whole) in China. 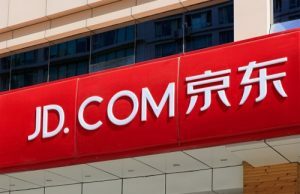 Both Alibaba and JD.com have turned to investing in smaller, more specialized fresh produce e-commerce companies to expand their own presence in online fresh produce e-commerce. How to enter E-commerce market of China? There numerous opportunities in E-commerce market for fresh fruit exporters but getting in the E-commerce market is rather cumbersome due to cultural barriers, language difference and strict e-commerce platforms policies. However, there are solutions among which two are vital. Firstly, International fresh fruit exporters need to have strong Branding of their products and secondly, they need to be presents on well-known E-commerce platforms. Chinese consumers prefer fresh fruit due to their availability, safety and quality. These features need to be communicated to the consumers extensively. The company needs to build e-reputation in order to gain popularity among customers. The marketing campaign must address the need of customers. It is highly important for International companies to understand the local culture and demands before it translates its offerings. There are several cross- border websites that cater international brands. Cross-border B2C e-commerce refers to a form of B2C (business to consumer) online purchasing where consumers can purchase foreign goods online via e-commerce platforms and marketplaces, such as kjt.com, Tmall Global, and others, who are set up to operate within special Free Trade Zones (FTZs) in China. Chinese consumers prefer buying imported products from Haitao websites. To learn about which Haitao is suitable for you brand please contact local marketing agency catering International brands. Are you interested in selling Imported fruits in China in on E-commerce market, and learn how you can target Chinese consumers digitally? 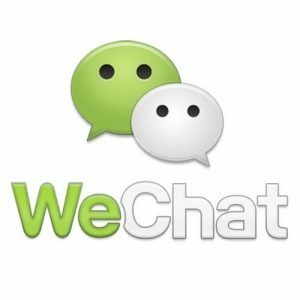 You are welcome to call us for a friendly discussion and learn about your brand’s prospects in Chinese E-commerce market. Our Digital Marketing agency provides, international brands with tools that are optimal to unlock this enormous market to earn their full potential. If you are interested in exploring Chinese Digital E-Commerce platforms, reach out to us for a customised advice. We are an exporter based in British Columbia, Canada. We export the local BC fruit crops such as apples, blueberries and cherries. We were wanting to get into selling to China via E-commerce but were wanting to know which would be be a better platform to sell on between Tmall and JD.